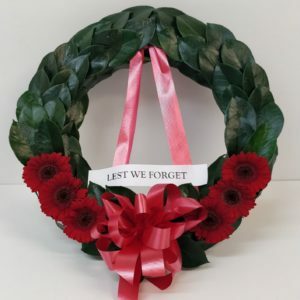 If your tribute is on the behalf of the Military, R.S.A, Government department, embassy, club, school or is for personal remembrance, we will customise your ANZAC Day wreath or memorial service to your special requirements. 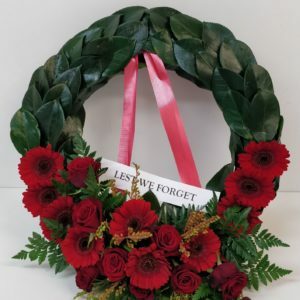 We can create traditional fresh green leaf with standard round wreaths that are suitable for ANZAC Day wreath laying and memorial ceremonies. 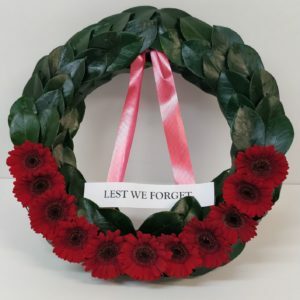 We can do special prices for Bulk Orders to one address. 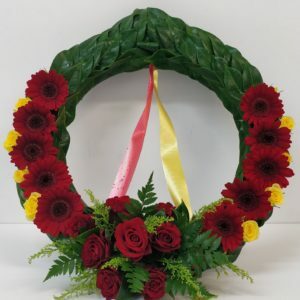 Call our Professional Florists direct on 09 8335335 to discuss your needs or order online, we would be honoured to help.